This article lists French regions and overseas collectivities by gross domestic product (GDP). Introduction INSEE and affiliate statistical offices in the overseas collectivities produce estimates of GDP in France's 13 regions and 5 overseas collectivities every year, and in some overseas collectivities where GDP estimates are made only every few years. In 2011, France (whose territory in the national accounts refers to Metropolitan France plus the four old overseas regions of Guadeloupe, Martinique, French Guiana, and Réunion, but excludes Mayotte and the six overseas collectivities) had a GDP of US$2,778 bn, 98.2% of which was produced in Metropolitan France, and 1.8% in the four overseas regions. Île-de-France (the Paris Region) has a much higher GDP per capita than the rest of France, due to its position as one of the "command centres" for the global economy, as well as its relatively low share of retirees. Outside Île-de-France, the 12 other regions of Metropolitan France show remarkably little disparity in their GDPs per capita. The "poorest" region of Metropolitan France outside Île-de-France in 2016, Hauts-de-France, had a GDP per capita which was four fifths the level of the richest region Auvergne-Rhône-Alpes. This is in contrast to most neighbours of France where regional disparities are much more marked (East Germany vs West Germany, southern Spain and Italy vs northern Spain and Italy, Wallonia vs Flanders). Overseas, only Saint Barthélemy, Saint Pierre and Miquelon, and New Caledonia have GDP per capita at the level of Metropolitan French regions. All other overseas regions and collectivities have GDP per capita noticeably lower than the Metropolitan French regions. The lowest is found in Mayotte, where GDP per capita was slightly less than a quarter of Metropolitan France's level in 2009, although it has been increasing a lot in recent years with the accession of Mayotte to overseas department and region status (and soon outermost region of the European Union, thus eligible for EU structural funds from 2014 on). Nominal GDP in euros and CFP francs has been converted to US dollars at the €/US$ purchasing power parity rate of each given year. — Saint Martin Last data is from 1999. GDP that year was US$449 million. — Saint Barthélemy Last data is from 1999. GDP that year was US$191 million. — Wallis and Futuna Last data is from 2005. GDP that year was US$188 million. ^ Metropolitan France + the four old overseas departments of Guadeloupe, Martinique, French Guiana, and Réunion. INSEE, Eurostat, the World Bank, and the IMF include neither the new overseas department of Mayotte, nor the overseas collectivities and New Caledonia when they publish economic figures of France. Figures are in US dollars at purchasing power parity (PPP). — Saint Barthélemy Last data is from 1999. GDP per capita that year was US$27,737, i.e. 113.5% of Metropolitan France's GDP per capita. — Saint Martin Last data is from 1999. GDP per capita that year was US$15,469, i.e. 63.3% of Metropolitan France's GDP per capita. — Wallis and Futuna Last data is from 2005. GDP per capita that year was US$13,102, i.e. 37.9% of Metropolitan France's GDP per capita. All 95 Departments of Metropolitan France by GDP and GDP per capita in 2015. ^ a b c Regions and Cities > Regional Statistics > Regional Economy > Regional GDP per Capita, OECD.Stats. Accessed on 16 November 2018. ^ a b "Produits intérieurs bruts régionaux et valeurs ajoutées régionales de 1990 à 2011". INSEE. Retrieved 2013-10-01. ^ a b "Regional statistics databases". Eurostat. Archived from the original on 2013-11-24. Retrieved 2013-10-02. ^ a b "Les comptes économiques de la Guadeloupe en 2011 : Une reprise en demi-teinte". INSEE. Retrieved 2013-10-02. ^ a b "Martinique - Rapport annuel 2012" (PDF). IEDOM. p. 33. Retrieved 2013-10-02. ^ a b "Guyane - Rapport annuel 2012" (PDF). IEDOM. p. 29. Retrieved 2013-10-02. ^ a b "Les comptes économiques de La Réunion en 2011 : Une timide reprise de la croissance" (PDF). CEROM. Retrieved 2013-10-02. ^ a b "Comptes économiques Nouvelle-Calédonie - PIB GRANDS AGRÉGATS". ISEE. Archived from the original on 2013-09-07. Retrieved 2013-10-01. ^ a b "COMPTES ÉCONOMIQUES 2008 - Polynésie française". ISPF. Retrieved 2013-10-01. ^ a b "Produit intérieur brut à Mayotte en 2009 : Une croissance dynamique mais un retard à rattraper". INSEE. Retrieved 2013-10-01. ^ a b "Evaluation du produit intérieur brut de Saint-Pierre-et-Miquelon en 2008" (PDF). IEDOM. Retrieved 2013-10-01. ^ a b c d "Estimation du PIB de Saint-Barthélemy et de Saint-Martin" (PDF). CEROM. Retrieved 2013-10-02. ^ a b "L'économie de Wallis-et-Futuna en 2005 : Une économie traditionnelle et administrée" (PDF). CEROM. Retrieved 2013-10-01. Guadeloupe is an overseas region of France in the Caribbean. It consists of six inhabited islands, Basse-Terre, Grande-Terre, Marie-Galante, La Désirade, and the Îles des Saintes, as well as many uninhabited islands and outcroppings. This page is an overview of the economy of Wallis and Futuna. France is divided into 18 administrative regions, which are traditionally divided between 13 metropolitan regions, located on the European continent, and 5 overseas regions, located outside the European continent. The 13 metropolitan regions are each further subdivided into 2 to 13 departments, while the overseas regions consist of only one department each and hence are also referred to as "overseas departments". The current legal concept of region was adopted in 1982, and in 2016 what had been 27 regions was reduced to 18. The overseas regions should not be confused with the overseas collectivities, which have a semi-autonomous status. The administrative divisions of France are concerned with the institutional and territorial organization of French territory. These territories are located in many parts of the world. There are many administrative divisions, which may have political, electoral (districts), or administrative objectives. All the inhabited territories are represented in the National Assembly, Senate and Economic and Social Council and their citizens have French citizenship. 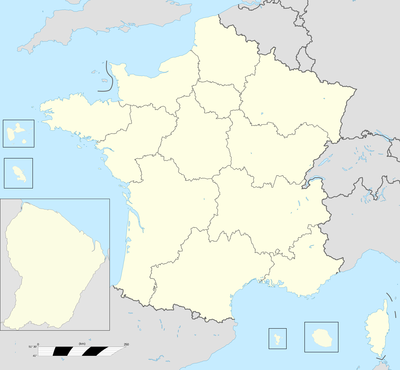 The following are ranked lists of French regions.